Our journey began with a visit to Mr. Tong Phuoc Phuc�s house in Nha Trang, an eight-hour drive from Saigon in early 2007. It was a small brick house full of love and laughter, a sanctuary for orphans and young expectant mothers. Construction was completed in early 2009. New Beginnings Mai Am orphanage is a two-story building and can house over a hundred orphans, a dozen expectant young mothers, several nuns and a staff of sixteen daily caregivers. There were over two hundred guests, friends, supporters from Saigon and from the States who came to the inauguration. 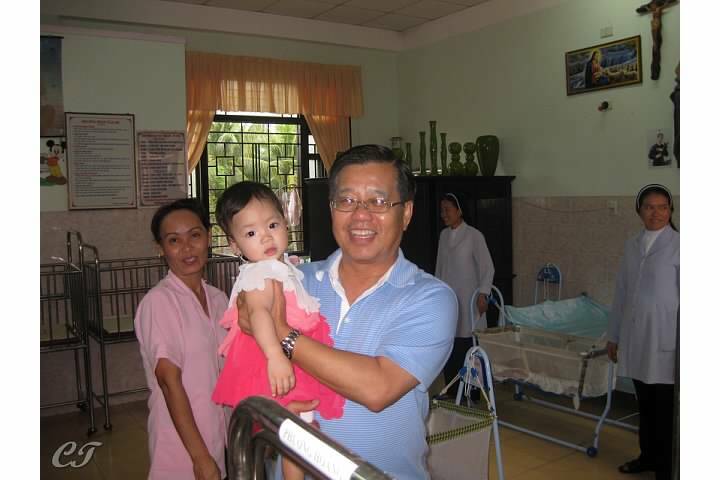 In March of 2009, our first team of Vietnamese doctors from the hospital in Saigon and young American physicians from Loyola Medical School in Chicago took the four-hour bus drive to the orphanage. Medical care was given to all the orphans and the handicapped patients from the village.